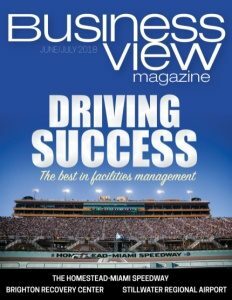 Business View Magazine interviews representatives from Elmhurst, Illinois as part of our focus on best practices of American cities. Elmhurst, Illinois, is a suburban city of approximately 46,300 in DuPage County. Settlement began in the 1830s and ‘40s, after the end of the Black Hawk War and the Treaty of Chicago. At what would later become Elmhurst City Centre, a native of Ohio named Gerry Bates established a community on a tract of “treeless land” in 1842. The following year, Hill Cottage Tavern opened where St. Charles Road and Cottage Hill Avenue presently intersect, and in 1845, the community was officially named Cottage Hill when a post office was established. The Galena and Chicago Union Railroad line reached the area by 1849, with the locomotive Pioneer making its first run to the area on July 4, 1849. 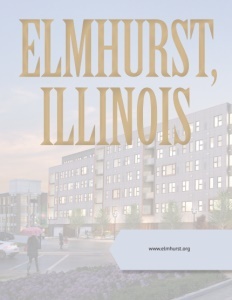 The community changed its name to Elmhurst in 1869 for the elm trees that had been planted along its streets, incorporated as a village in 1882, and became a city in 1910. Elmhurst remained a farming community until the 1930s, after which it developed as a residential suburb of Chicago. The manufacture of industrial supplies, automotive sales, and financial and health care services contribute to the city’s economy. 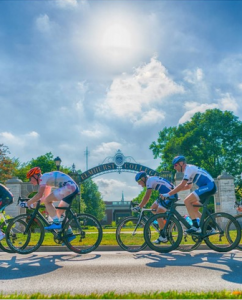 The city is home to Elmhurst College, which was founded in 1871, and serves as the corporate headquarters for such companies as Superior Ambulance, the Semblex Corporation, and McMaster-Carr Supply Co., which along with Edward-Elmhurst Healthcare is a major employer. 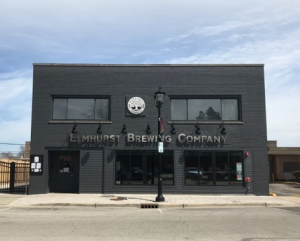 In June of 2016, the City of Elmhurst adopted a new Downtown Plan. The Downtown Plan presents a vision for the year 2025, and provides goals, objectives, and other recommendations of action to be undertaken by the City to maintain Downtown as an attractive and vibrant city center. The Plan identified and recommended changes to the City’s zoning ordinance, and development procedures and processes. “In 2018, the City Council approved new zoning for the downtown in an effort to alleviate the number of variations requested and be more developer friendly,” says City Planner, Eileen Franz. Business Development Coordinator, Erin Jason, adds that updates allowed for streamlined permitting processes. “We took away layers and additional costs for those wanting to invest in town – not to mention a lot of time,” she explains. The city has also strategically created a number of TIF (Tax Increment Financing) Districts to further incentivize revitalization both downtown and throughout the community. The results have been exemplary. Over $120 million in commercial projects came onboard in 2016, another $100 million-plus in 2017, and Kopp reports that about $144 million worth of commercial work is going on throughout the city right now. Completed, ongoing, and planned projects include but are not limited to: Elmhurst 255, a mixed-use development with 192 luxury apartments, 150 public parking spots, a community plaza, and 12,000 square feet of retail; the Opus Mixed Use Development – 165 luxury apartments, plus 7,000-11,000 square feet of first floor retail on the site of a former US Bank; the Fitness Formula Club, a three-story, 50,000-sq.-ft., luxury fitness facility with an indoor and outdoor pool; a new multi-story office building to be built by local real estate agency, New Home Star; two new luxury condo projects; the York Building project, featuring two floors of 20,000 sq. ft. of Class A office space, plus 10,000 sq. ft. of first floor retail; and an $18 million update of Elmhurst’s train station, the busiest stop on Metra’s Union-Pacific West line. According to Jason, who is the city’s first, full-time Economic Development Coordinator, all of these projects are part of the city’s plan to embrace “Transit Oriented Developments” – projects that help promote more walkability, more entertainment options, more daytime population growth, more destination driven venues in the downtown core, and more of, what she calls, “experiential businesses” that are key to attracting a younger generation of workers, as well as older retirees who are looking to downsize and move downtown closer to the city’s busy train station. “One of the things that we’ve done was to shift the focus and recognize that experiential businesses and Medtail, things like workout facilities – an Orangetheory Fitness or a Pure Barre – have a place in what used to be a more traditional retail location and are an important part of the mix,” she says. Check out this handpicked feature on Pembroke, Ontario – The heart of the Ottawa Valley.